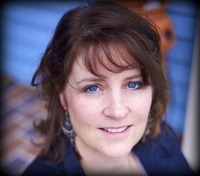 To celebrate the recent release of her newest book Souls in Peril, I have an interview with author Sherry Gammon. You mention the book grabbed you, was there something in particular that did this? The headlines of late have been heavy with bully stories. Some ending well, others ending tragically. I started Souls in Peril as a short story and before long realized it need a full story to do it justice. What is the message behind Souls in Peril, if there is one? Never give up. Simple and true. We all need to reach out to the Souls in Peril around us and help them survive. Do you identify more with Max or JD? Both. I as have most of us, have been on both sides. I have been bullied, though thankfully only mildly, and I have watched others be bullied around me and reached out. Newspapers, and web sites dealing with bullies. I know Paul Beeley has designed the covers for your other Port Fare books. Did he do this one too? No. Paul is amazing! I was looking for some cover ideas to submit to him when I found the perfect picture of Max. 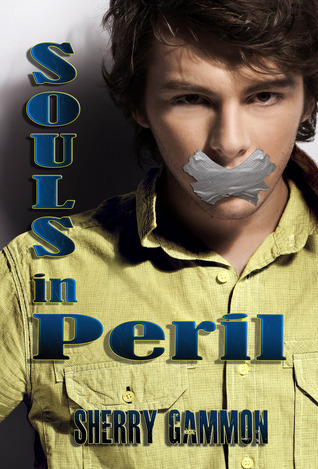 I added the duct tape and Souls in Peril cover was born! Sherry has been writing for several years. Her work has been in several newspapers, and an educational Magazine.She and her husband,along with their children and a couple of crazy dogs, call Upstate New York home. Seeking clean romance novels for her and her three daughters to read and enjoy was no easy challenge. It was because of this frustration the Port Fare series was born. Senior Max Sanchez has it all. He’s the star pitcher for Port Fare High’s baseball team. He’s dating the head cheerleader, Emma McKay. He also has a great group of friends. Junior JD Miller’s life isn’t nearly as good. Unlike Max, JD struggles with making friends. He’s a social misfit. And He’s being bullied at every turn. JD is also barely surviving. A tragic accident changes everything and Max is thrown into JD’s world. Will he survive? Will JD? How will this all affect these Souls in Peril? Thank you so much!! I appreciate you doing this interview. I hope you enjoy Souls in Peril!